Developed internally by Capcom by a group labelled as ‘Development Studio 3’, many of the staff members who had worked on ‘Breath of Fire III’ including director Makoto Ikehara and character artist Tatsuya Yoshikawa were re-drafted to return to the PlayStation’s second instalment in their on-going RPG franchise. Originally intended to be much larger than the final product and targeted as an early-development title for the (then unreleased) PlayStation 2 console, statements were released by Capcom’s Yoshiki Okamoto in May 1999 that referred to the game as a ‘giant project’ and insinuated that the title would make use of the PS2’s network capacity. By July of the same year however the game was confirmed to be releasing on the original model PlayStation with much of the game already completed. Breath of Fire IV enjoyed an official unveil in an issue of Japanese magazine ‘Weekly Famitsu’ that same month that had screenshots and showcased concept art for the games characters. Some features were cut in order to release the title on one PlayStation disc, which was a rarity at the time when many RPGs of the period on the PlayStation were spread over two or more CDs. This included a battle against the villain ‘Yuna’ who otherwise goes unpunished at the games end and additional content playing as Fou-Lu. In 2000 the game was present in playable format for the Tokyo Game Show before being released in Japan. Possibly the best sprite work on the system. In February of the same year, Capcom USA announced that an English language edition of the title would be made available in North America and Europe, although it would contain a number of changes from the Japanese release. Censorship on four key scenes in Fou-Lu’s story segments, including the decapitation of Emperor Soniel in addition to Ryu spying on female members of the party bathing in a pond and a character dropping her pants on a dare were also removed. References to alcoholism and of a sexual nature also hit the cutting room floor. Interestingly one of the character’s abilities (which allowed him to view character stats in battle) was also removed. The game saw an additional release ported onto Windows based PCs in Japan and Europe. Small additions including a filter for smoother sprites and 2D visuals as well as faster than average loading times made this edition marginally superior. Though a niche release in Europe and Australia, this PC conversion sold enough copies in Japan to be assigned the ‘Quality 1980’ label and see a re-release in 2005. The music from Breath of Fire IV was composed entirely by Yoshino Aoki who had collaborated on the previous game in the series and embraces a uniquely Asian tone. The soundtrack was released across two discs in 2000 before seeing re-release as part of a ‘Breath of Fire Original Soundtrack Special Box’ set that collated the music from the series to date on one collection in 2006. Environments are colourful and interesting at all times. For its time, Breath of Fire IV embraced several gameplay elements that weren’t common to the JRPG genre on the PlayStation including the ability to freely swap party members in and out of your team whilst in battle (which ‘Final Fantasy X’ would later mimic), characters having unique puzzle-solving actions in exploration segments and a 90 degree rotating camera that allowed for 4 angles from which to view the environment. Like ‘Grandia’ before it, Breath of Fire IV used large, detailed sprites on 3D rendered backgrounds. The game also dealt with the concept of playing from two character’s very different perspectives as they built up toward a climactic final battle. An officially licensed manga based on the games story was produced by Enterbrain Company, including two parody comics released in 2000. An official novelization of the games narrative ‘Breath of Fire IV: The Unfading Ones – The Arukai Dragon’ was written by Yayoi Joumon and released that same year. The game itself scored highly on release, averaging 75-80% in most critics reviews and was a moderate sales success. Shortly after Looking Glass Studios and Origin Systems released ‘Ultima Underworld II: Labyrinth of Worlds’ in 1993, producer Warren Spector started planning on a title tentatively titled ‘Troubleshooter’, which would later be better known as Deus Ex. Burned out on fantasy and science fiction settings, Spector hoped to make a game set in the real world. In a proposal put forward in 1994 he described the concept as an “Underworld-style first-person action” game that would be “Big budget” in nature. Spector later commented that Origin lacked interest in his suggestion whilst Looking Glass didn’t have the necessary funding for the title and he instead continued to refine the games concept in his own time and turned it into ‘Junction Point’ a second phase that reached development but was cancelled before release. Spector found himself laid off from Looking Glass, and when John Romero of Ion Storm offered him the chance to make his “dream game” without any restrictions, Spector signed on with the fledgling company. A project exists today to upgrade the graphics and keep the game as pretty as it was deemed at launch. Preproduction for Deus Ex began in 1997 and lasted roughly six months. Working with a five-man team who came from Looking Glass’ Austin studio, Spector (as director and producer) commented that he was seeing a level of creativity that he’d not seen at Origin, Looking Glass or Valve. Under the working title ‘Shooter: Majestic Revelations’ the game began to focus on conspiracies, still connected to the real world it drew on Area 51, CIA drug trafficking and the Kennedy Assassination. Creating a pool of 200 characters before associating any of them in-game roles, missions were able to be built and NPCs allocated to them in a free-flowing manner. This build cast the player as a special agent in a manner similar to that of the ‘X-Files’ or ‘Men in Black’ series. The team added a skill system that featured ‘special powers’ derived from nanotechnology and augmentation of the main character with cybernetic upgrades. By 1998 pre-production had generated 300 pages of documentation which widened to 500 that contained “radically different” content by the games 1999 Alpha 1 deadline. As of 1998 the team had expanded to include 20 people and entered the 28-month production phase, being assigned an art team from Ion Storm’s Dallas branch. According to Spector the team was interested in multiple genres and rook radically different approaches to game design. This led to debates in the office that forced Spector to conclude that the team was “blinded by promises of complete creative freedom” and weren’t interested in focusing on the existing brief, unwilling to think of the games budget of time constraints. By mid-1998 the games title finally became Deus Ex, derived from the latin literary device ‘deus ex machina’ in which a plot is resolved by an unpredictable intervention. Whilst acknowledging that this was a strange choice for title, Spector liked this phrase because of its relevance to the in-game power struggle. The public perception of Deus Ex was tarnished somewhat following Ion Storm’s visceral and often crude advertising campaign for ‘Daikatana’. This led to slumps in moral on the part of the team that slowly became a ‘we’ll show them’ mentality that pulled the quality of the game to a higher standard. The game was published by Eidos Interactive and released on June 23rd 2000 for Microsoft Windows with planned third-party support for Mac OS 9 and Linus. A PlayStation 2 port was later made. Deus Ex launched as a grim cyber-punk thriller set in a science fiction future where corporations warred and secrets were bankable. Far from the modern setting initially envisioned, the game focused on freedom of player choice within the narrative and channelled the essence of playing a role, One of the things Spector specifically wanted to achieve was to make the player character (JC Denton) a cypher for the player in order to create a better sense of immersion. To this end his voice actor (Jay Anthony Franke) recorded his dialogue in an emotionless monotone so as not to influence the emotion of a scene with his performance. An unusual choice in an acting role. Player choice and input are key. Deus Ex received critical acclaim, attaining a score of 90 out of 100 from 28 critics on ‘Metacritic’. Thierry Nguyen from ‘Computer Gaming World’ said that the game “delivers moments of brilliance, idiocy, ingenuity, and frustration.” Sales at the time of launch were above the team’s expectations and ‘Computer Games Magazine’ praised the title for its deep gameplay and its use of multiple solutions to situations in the game. A ‘game of the year’ edition shortly followed as the title won 30 ‘best of’ awards in 2001. A film adaptation was announced in 2002 by Columbia Pictures, though the title never made it past the scripting stage and in 2012 CBS films revived the project, buying the rights to the series and commissioning a film taking inspiration from the 2011 sequel ‘Human Revolution’. A Sequel, ‘Deus Ex: Invisible War’ was released in 2003 to less positive reviews, having scaled back on player choice in order to better tell a cohesive story, whilst a second sequel was cancelled due to Invisible War’s lackluster sales (hastily reskinned and published as ‘Project: Snowblind’. Later ‘Deus Ex: Human Revolution’ and ‘Deus Ex: Mankind Divided’ would be released as prequels by Eidos Montreal on the PlayStation 3 and 4. A conscious effort to return to the off-beat fantasy roots off the earlier games in the series, Final Fantasy IX would be the last game in the series on which Hironobu Sakaguchi would serve in the role of producer and the last game Squaresoft would release before their merger with Enix rebranded both companies as Square Enix. Locations are full of detail. At its early stages Square was uncertain as to if the title would be considered a main-line numbered instalment into the series or a side-story, such as ‘Final Fantasy Tactics’ or ‘Mystic Quest’ had been before it. This was largely due to the games comical and cartoony style when compared to the increasingly serious previous entries into the series that were beginning to strive for realism in their character models. Because of this, whilst the environment was fantasy orientated the games characters were given a level of animation previously not seen in the series, with expression and the ability to emote various sequences. Composer Nobuo Uematsu commented that the design staff had attempted to combine both old and new when producing each character’s look, with several nods to older elements of the series. Vivi, a key character and the first one controlled by the player is styled directly upon the Black Mage from the original Final Fantasy title, with straw hat and blue cloak. Final Fantasy IX contains the most intricate mini-game yet seen in a Final Fantasy title, after the popularity of VII’s Golden Saucer segments and VIII’s collectable card game. Dubbed Tetra Master, monsters would occasionally drop cards of varying strengths based on their specific type. A collection mechanic that allowed you to sort and discard/keep which cards you wanted, and form a 5 card deck of your choosing allowed for a competitive approach to be taken, whilst playing the game saw these cards placed in turn onto a 4×4 grid. Whilst technically a superior product to the card game seen in VIII, Tetra Master didn’t receive as much player praise as its predecessor. This is possibly because of a point in the games campaign where it is necessary to win a Tetra master tournament in order to continue the narrative. The release of Final Fantasy IX was delayed to avoid conflict with that of rival company Enix’s ‘Dragon Quest VII’ and the game was subsequently heavily promoted before release to compensate. Characters from the game were used in Coca-Cola commercials, figurines were sent as prizes in a promotion of the brand and IGN awarded dolls for several contests. Adverts for the game specifically played on television and in cinemas, with online trailers also appearing for the first time. Combat is as fine an example of the ATBS as you will ever see. Final Fantasy IX was also the benchmark of Square’s interactive PlayOnline service. PlayOnline was originally developed to interact with Final Fantasy X, but when those plans fell through it became a strategy site for Final Fantasy IX. The site was designed to complement BradyGames’ and Piggyback Interactive’s official strategy guides for the game, where players who bought the print guide had access to “keywords” that could be searched for on PlayOnline’s site for extra tips and information. This caused fury among buyers of the guide, as they felt cheated for the expensive print guide. The blunder made GameSpy’s ‘Top 5 Dumbest Moments in Gaming’ list and PlayOnline was dropped before ‘Final Fantasy X’ was released on the PlayStation 2. Launching to great acclaim, the game averaged 95% in most reviews and won awards for ‘Console RPG of the Year’, ‘Outstanding Achievement in Art Direction’ and ‘Outstanding Achievement in Animation’ at the 4th annual Interactive Achievement Awards. It also scooped up an award for ‘Best Interactive Product/Video Game’ at the 6th Golden Satellite Awards that same year. Re-released on Playstation Network as a part of the classics range, its availability on PSP, Vita and PS3 have led to the game becoming a firm fan favorite, although it was received with mixed emotions in countries that hadn’t received the full series’ history at the time. Sakaguchi would step back from direct involvement in the series after the games launch. Developed by Intelligent Systems in partnership with Nintendo, Paper Mario is the second attempt to bring the popular Mario franchise into the RPG genre after Square’s successful ‘Super Mario RPG’. Although the rift between Squaresoft and Nintendo still existed post-the launch of the N64, preventing the use of characters and the ‘Mario RPG’ title, Paper Mario is seen by many to be a spiritual successor with a new IP that Nintendo could control. At one point the game was titled ‘Super Mario RPG 2’ and was revealed to the public as such at the Nintendo trade show in 1997. Playing the the N64’s strengths. With a script written by Kumiko Takeda and kaori Aoki, and Naohiko Aoyama as the art director, the games key hook is its impressive visual design. Whilst the world is generated using the limited 3D capacity of the Nintendo 64 (making good use of a more cartoon-orientated style to make up for these failings) the characters are all represented as 2D paper cut-outs. This visual style both lends the game its name and allows for liberties with the Mario formula to be taken. Traditionally Mario can run and jump in only the left and right directions, and presenting a 2D figure in this manner allows for that to be represented. More characters can also be seen on-screen at any single time that other titles of the same vein on the N64 because of the simpler graphical style. The game itself tells a narrative that sees Mario and his brother Luigi receive a letter from Princess Peach inviting them to a party. Heading to the castle, long-time villain, Bowser appears and defeats Mario, claiming it for his own and turning it into his personal fortress, kidnapping Peach in the process. Whilst this is all largely business as usual for a Mario game, the main conflict of the game comes when Bowser invades Star Haven, scattering the seven Star Spirits and claiming the Star Rod for his own. Whilst the game sees you control Mario, retrieving various Star Spirits across the land (with locations linked through a hub called Toad Town) sub-quests involving the player controlling Peach and trying to escape the castle on her own are regularly included. Combat uses timed button presses. After a positive reception, a sequel on the Nintendo Gamecube titled ‘Paper Mario: The Thousand-Year Door’ was released, re-using the art style and making the ‘paper’ aspect a game mechanic that saw the plumber able to be folded into various shapes. ‘Super Paper Mario’ would later see release on the Wii, with ‘Paper Mario: Sticker Star’ on the 3DS being the latest instalment in the series. A rival Mario RPG series titled ‘Mario & Luigi’ was run concurrently, consisting of five entries on the Game Boy Advance and DS, with an announced cross-over with Paper Mario coming to 3DS in the title ‘Mario & Luigi: Paper Jam’. At launch, RPGs for the PlayStaton 2 were few and far between. Given the original PlayStation’s affinity for the genre and the console’s backward compatibility for last-generation games, coupled with a DVD player in the unit, many players purchased the console. Action RPGs ‘Evergrace’, ‘Orphan’ and ‘Summoner’ alongside first-person dungeon crawl ‘Eternal Ring’ were available on the day of launch, but fans of RPGs would have to wait for the system to start flexing its muscles and showing what it was capable of. Dark Cloud, developed by Level-5 and published by Sony Computer Entertainment was originally intended to make the launch date, however ultimately released in March of the same year. The first game to be developed by Level-5, under the leadership of president and CEO Akihiro Hino (who also wrote, produced and designed the game), production was started immediately after the company was founded in 1998 and ran for 2 years. An early demo of Dark Cloud was used by Sony president and CEO Ken Kutaragi to show the capabilities of the console to the public, with early footage showing a magic carpet ride and water effects programmed for the game. The Georama system in action. The games key hook was that it mixed RogueLike elements, with the player having to delve into randomly generated dungeons to reclaim ‘Georama’ pieces that could be used in a secondary world-building mode. This system (known as Georama) allowed the game to switch to an overhead perspective and saw plants, buildings and content for each individual town in the game able to be placed by the player to rebuild locations in the scattered world. Other features included duels that took place at key moments and tested player button responses in pre-set patterns (an early form of quick-time event) and a system in which weapons were crafted and levelled up in place of the character. 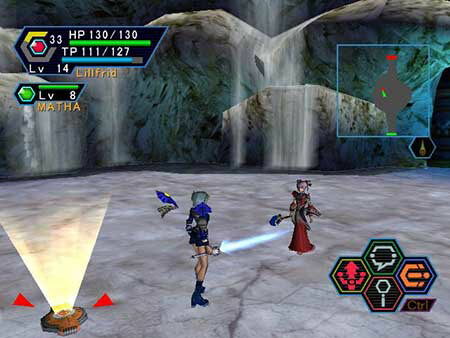 Multiple playable characters were available, unlocked through play and narrative events, with the player switching between them in a dungeon rather than controlling a party. Whilst at first glance the game appears to be more of a ‘RogueLight’ in nature, the mixture of procedurally generating content, limited resources, a necessity to drink water whilst travelling and finite use of weapons before they break turned the title into a more difficult game than many console players were used to. The English language release of Dark Cloud contained a number of additional features, including new weapons, monsters, better AI, extra duels and a new dungeon after the completion of the main game (known as the Demon Shaft). The game manages its space to good effect. Initially, Dark Cloud sold quite poorly, selling only 19,615 units in its launch week in Japan. This placed it at 15th in the charts. By the end of 2000 it had sold 35,783 units however, making it the 286th highest selling game of the year across all systems. In 2001 it sold an additional 34,688 units for a total of just over 70,000 units but proved to have much stronger sales internationally and sold in excess of 800,000 units worldwide. A sequel, ‘Dark Chronicle’ was released in 2002 which saw more immediate success and the ‘White Knight Chronicles’ games from Level-5 continued to use the Georama system on the PlayStation 3. The story of Avernum is an on-going and complex tale. Developed and produced by independent creators Spiderweb Software (consisting almost entirely of the work of Jeff Vogel, with some help from artists and spriters), the Avernum series is essentially a re-make of the Exile trilogy he produced between 1995 and 1997. However the Avernum series itself is undergoing a considerable remake period at the time of writing. Consisting of three games, ‘Exile: Escape from the Pit’, ‘Exile II: Crystal Souls’ and ‘Exile III: Ruined World’, and the scenario writing tool ‘Blades of Exile’, the original work of Spiderweb Software were turn based WRPGs dealing with the adventures of a player-created party within a fantasy realm where people were sent after breaking the law. Essentially a massive underground prison. Having seem moderate success (particularly in the United Kingdom) the decision was made to remake them using a more advanced engine, adding additional features and better compatibility with modern systems. These included a shift from top-down perspective to 45 degree axonometric display for the illusion of 3D space, terrain on multiple heights and more complex map layout. Using in-game artwork by Phil Foglio adds a sense of humour to the otherwise quite grim originals and a change from 6 to 4 party members allows for easier party management. Avernum retells the first instalment of the original Exile trilogy and closely follows the story beats of that title whilst offering new side quests and areas to explore. The ultimate goal of the game being to escape the prison world of Avernum and get back to the surface from which you were exiled. ‘Avernum 2’ followed in a similar manner that same year with ‘Avernum 3’ releasing in 2002. 2004 saw the release of ‘Blades of Avernum’ an advanced version of the campaign editor seen at the close of the original trilogy, however ‘Avernums 4-6’ saw release in 2005, 2007 and 2009 respectively. In 2011 the series was rebooted for a third time with the release of ‘Avernum: Escape from the Pit’ which follows the exact plot again of ‘Exile: Escape from the Pit’ but uses an even more advanced engine and expanded narrative. ‘Avernum 2: Crystal Souls’ followed in 2015. Whilst traditionally games by Spiderweb Software release on Windows and Macintosh desktop computers or laptops, this current series is also seeing release onto iOS and Android devices. A short period existed in 2015 where immediately after launch for iOS Avernum 2 was pulled from the iStore following an update from Apple that broke the game. Ill and overworked at the time Jeff Vogal announced that Spiderweb Software would be cancelling future touch-screen versions of the game, in part due to lacklustre sales on those mediums, but later reversed this decision and the game reappeared with a fix. It is expected that a third title in this series will see release in a similar manner to that of first remake. Character portraits add a sense of fun. Though peppering releases between these remakes, such as the popular science-fiction driven ‘Geneforge’ series (1-5), semi-historical title ‘Nethergate’ and new ‘Avadon’ series, Spiderweb Software have dedicated themselves to producing the best possible versions of their visions and keeping them relevant in a market where many companies simply enable older titles to run and release them unaltered in the name of ‘retro’ experiences. For such a small studio to have produced such a wide range of games since its inception is truly admirable. Based on the popular late 90s, early 2000s pen and paper role playing game from White Wolf Publishing (part of the ‘World of Darkness’ print), Vampire the Masquerade: Redemption was developed by Nihilistic Software and released by Activistion for Windows and Mac OS and depicts the life of an ancient vampire named Christof Romuald as he lives from the Dark Ages to the modern day. The team in Prague, the Dark Ages. Development on the game started in 1998, shortly after the funding of Nihilistic Software earlier that year. It’s development was announced publically in 1999 with the intention being to move away from the first person titles that had been flooding desktop computers at the time and that members of the team had worked on with other studios. Initially working on a futuristic RPG with gothic undertones similar to that of the popular Vampire series, publisher Activision approached them to use the full Masquerade license and the game was quickly re-worked to fit the series tone and setting. Redemption was then developed over a 24 month period with a team of 12 members by the end of development. This team included Nihilistic president and CEO Ray Gesko, as well as lead programmer Rob Huebner and artist Yujin Kiem. Redemption’s story was developed with input from White Wolf, and was co-written by Daniel Greenberg, a writer for the setting at the time. The small size of the team led to an additional 8 external contractors being hired to provide sound elements, vocal performances and a musical score. At one point the Dreamcast was considered as the target console, but its lacklustre sales led to a shift in focus onto home computers. Nihilistic initially looked at existing game engines such as the Quake engine and Unreal Engine, however decided that these were designed with first person games in mind and wouldn’t suit a third-person title. A more point-click interface that made better use of the mouse was required, and a new engine was created in-house for this purpose, dubbed NOD. A key focus was also the ability for gamers to script and toy with their own campaigns, with members of the staff who had worked on ‘Jedi Knight’ being particularly aware that the modding community could make or break a computer title’s popularity. The team tested various languages, but became aware of another studio, Rebel Boat Rocker, which was receiving attention for its use of the Java language. Speaking to that studio’s lead programmer Billy Zelsnak, Nihilistic decided to experiment with Java, having little prior knowledge of it. The language successfully integrated into the NOD engine without problems, providing a standardized and freely distributable scripting engine. Several designers were trained to use Java to allow them to build the several hundred scripts required to drive the game’s storyline. A multiplayer ‘Storyteller’ mode was conceived and added late in the development cycle, giving the game a pleasant change from the common survival and deathmatch setting of the time. Developers site ‘MUD’ (Multi-User Dungeon) a real time virtual world in which users manipulate the games environment to create adventures as inspiration for this feature. Some missions take unexpected turns. Seeing release of both a stand-alone copy of the game and a collector’s edition in 2000, the later of which came packed with a hardbound edition of White Wolf’s ‘Book of Nod’, a Camarilla pendant and the games strategy guide in addition to a soundtrack. Nihilistic also released ‘Embrace’ a level editor with access to the games code to allow fans better access to levels and scripts and encourage modding that came year. At launch the game was the third best-selling on a Windows machine, whilst sales of the collector’s edition were individually tracked. Though deemed buggy and full of glitches in a manner similar to ‘Ultima IX’ on launch, patches and fan created mods were quick to fix any problems, and the game proved popular enough to get a sequel in the form of ‘Vampire the Masquerade: Bloodlines’ in 2004, developed by Troika Games and published again by Activision. Bloodlines was less favorably received and similarly buggy, although it has earned cult status since launch. Having completed ‘Shining Force 3’ with Sega and seeing that only the first instalment of the three-game epic was ultimately shipped outside Japan, developer Camelot Software changed their focus to Sony, ending a period of collaboration that had existed since the release of ‘Shining in the Darkness’. Releasing ‘Beyond the Beyond’, a more traditional JRPG with a turn based battle system as the first RPG on the new PlayStation console. Though panned by critics, the game went on to develop a strong fan-base and the games battle animations ultimately served as the inspiration for Golden Sun. Spending 18 months developing Golden Sun, Camelot originally intended the game to release on the Nintendo 64, which had seen a distinct lack of instalments in the RPG genre aside from ‘Paper Mario’ and ‘Ogre Battle 64’. Spurred on by the critical reception of ‘Quest 64’ they intended to enter a market they could easily dominate, but when development overran and with the N64 entering the end of its lifespan they shifted focus to the Game Boy Advance. This had two immediate effects on the title. The first being that the game was an extremely polished and early entry into the catalogue of a new handheld’s games that players were drawn to. The second was that the game was split from one large game into two smaller ones due to the limitations of the GBA carts available storage space. Still intended to be played as one game, the two carts were given dual-functionality through networking with a link cable or entering a password (in a manner similar to ‘The Legend of Zelda: Oracle of Ages/Seasons’ on the Game Boy) though the narrative focus was shifted to another group of characters to better flesh out the second act. The two games were titled ‘Golden Sun’ and ‘Golden Sun: The Lost Age’ respectively. Having worked on ‘Shining Force 3’ which gave each entry its own viewpoint and cast on a war and allowing the player to see things from all sides, the same premise was applied to Golden Sun. A second party of characters appears in the first title, seen as rivals and occasional villains only to be the centre focus of the sequel and allow the player to see events differently. Scenario writer Hiroyuki Takahashi and director Shugo Takahashi (who had both worked on ‘Shining Force 3’) felt that this strengthened the overall experience. Golden Sun made use of a puzzle-heavy system that saw the player collecting elemental Djinn that could help to solve obstacles in the players path and encouraged backtracking to see if new areas could be unlocked using them. Djinn added powers such as telepathy and telekinesis to the game in addition to freezing water and growing plants, lending them to a wide range of puzzles and becoming a major draw of the franchise. Battles used a camera and perspective almost identical to that of ‘Beyond the Beyond’ with the added benefit that Djinn could be used like spells in combat or cast together to trigger larger more impressive attacks. Developed internally at Capcom by Capcom Production Studio 2 in the height of Game Freak’s Pokémon franchise’s popularity, the company took their platforming mascot and (like Mario before him) built an RPG franchise to suit his particular strengths. Although this had been tried before with the ‘Mega Man Legends’ series, which loosely fit into the Action RPG genre, Battle Network would delve more closely into the DNA of the RPG genre. Battles use timing to full effect. Aimed at the Game Boy Advance, which was yet to receive its own instalment into the Pokémon franchise and was proving to be a capable handheld in its own right, a new setting and rendition of the character was designed to replace the traditional version of Mega Man, as had been done with ‘Mega Man Legends’ and loosely managed by Mega Man X (which was a direct sequel, though 100 years separated by an internal timeline). Selecting to keep his signature ability to duplicate the weapons of his enemies and focus on a tale split evenly between a future ‘real-world’ and a digital realm that was inhabited by avatars of the main characters, capable of heading out on adventures. Previous villains from the original series could then be reimagined in this new world and re-visited in interesting ways. Director Masahiro Yasuma found it difficult to blend action attributes with the “kind of fun you get from a Pokémon game” and worked hard to keep the formula feeling “New and fresh”. He recalled that the production was further challenged because nothing to match their vision for the game had come before, that being a battle system that managed real-time combat with time based special commands. A system that ultimately looked to refine the concepts used in many MMORPGS. Realising that this new game IP was going to have to appeal to children as well as established long-time fans of the character, an anime was adapted that placed emphasis on the characters and setting. Producer Kenji Inafune credited himself for the Mega Man redesign, although admits that the character designers on the project were reluctant to hand over that responsibility, having set the visual style that established characters would be using as ‘NetNavis’, going so far as to tweak the character without his knowledge in promotional material to better fit with the others. Yuji Ishihara acted as a primary character artist for the game, with Navis and their Human counterparts both drawing inspiration from the original character on which they were based. The game placed a heavy emphasis onto finding and collecting ‘Data Chips’ that could be used to duplicate a huge range of special moves and in a manner similar to Pokémon, players were encouraged to complete their collections in-game. Planned as the first of four games in the series to be released onto the GBA, a demo was promoted at Nintendo Space World where it was playable on 140 consoles. Later at the Tokyo Game Show only 5 stations were made available. This beta showed a confrontation with WoodMan.EXE within the school’s electronic blackboard. An English language version of the game was announced in May, prior to E3, and the game saw release through Ubisoft in PAL regions as part of a special 7-game agreement with Capcom. A Saturday morning cartoon vibe prevails. Well received at launch, the game garnered enough success to exceed with initially projected four titles and launch six onto the GBA, some of which had multiple coloured releases. The series ended with ‘Mega Man Battle Network 6: Cybeast Gregar/Cybeast Falzar’ in 2006 before being replaced by a similarly pitched but new canon variation called ‘Mega Man Star Force’ and had no less than 8 spin-off titles set in the same universe. Additional titles in the Battle Network setting were released until 2009 in Japan under the banner ‘RockmanEXE’. In 1999 Sega was beginning to realise that the Dreamcast and subsequently their place in the console market was beginning to lose traction. Eventually this would lead to them dropping out of the business of producing hardware altogether, but rather than go quietly into the night they resolved to make the final years of the Dreamcast the best they could muster. A strange consequence of this was the green-lighting of Segagaga, a title that is both a parody and satire of Sega’s time as a console developer. This will be the strangest RPG you ever play. Set in the year 2025, the story depicts Sega as having only a 3% share in the market. At the site where Sega was originally formed in 1951 the company forms ‘Project Segagaga’, a plan that could save Sega from being swallowed by its evil competitor, the DOGMA corporation. A thinly veiled parody of Sony, who had replaced Nintendo as the market leader and were the biggest threat to Sega at the time. As a part of this project, two teenagers are employed to help guide their development division and conquer the market. Featuring cameos from real-life members of the Sega teams as well as mascots ranging from ‘Sonic the Hedgehog’ to ‘Alex Kidd’, it’s a fusion of traditional RPG and development sim that sees you battling and recruiting devs in an almost Pokémon style to produce games for you. When director Tez Okano first presented the games concept to Sega management it was presumed to be a joke, however after a second request was made, Hitmaker president Hisoa Oguchi gave the game a development budget. Okano spent two years developing the game in secret, fearing cancellation if it was revealed. When the finished game was then presented to Sega he was pleasantly surprised to find that they enjoyed it and didn’t feel that it cast a negative light on their misfortunes with the Dreamcast. They saw the humour in the scenario and wanted to share it with the rest of the world. Alex Kidd recounts discovering his rejection as Sega’s mascot. Created under the working title ‘Sega Sega’, the name was changed to Segagaga because it made it less obtrusive (with the company logo there would be three Sega logos on the title) and easier to pronounce. The intial 1 man build had 300 issues in need of attention, with Okano only personally addressing 100 of them. Others, such as copyright issues and references to those who would probably not enjoy the parody were removed entirely. Okano found that he was given almost unlimited access to the internal back-catalogue at Sega and took full advantage of it, estimating that the game’s final budget was “less than a hundredth” of that of ‘Shemune’. Toei Animation even gave him a discount on the animation they provided for the chance to work on so many classic characters. Only intended for release in Japan, Okano marketed the game himself and was given a budget of $200 with which to do so. He spent over half of this on a wrestling mask to hide his identity and set up signing events at four locations in Akihabara, rewarding fans who visited all of them. Assisted by public relations head Tadashi Takezaki and Taku Sasahara of Sega AM3, a full page newspaper spread on the game was published that increased the popularity of the produce immensely. Sales of the game online via Sega Direct were initially very high, leading to an unexpected store release and later a budget edition. Having been peacefully retired after a successful series of four main-line titles and two ‘gaiden’ spin-off games that played as interactive novels, the Phantasy Star label was revived two systems later to fly the banner for what many would remember the Dreamcast most fondly for, namely its legacy as the first internet-ready console. The game featured an offline solo campaign. Isao Okawa, chairman at Sega at the time, believed that internet gaming would soon become an important part of the gaming landscape and successfully predicted that bringing the service out of the exclusive domain of PC gamers would open up the opportunity to the masses. Whilst games such as ‘Quake’ and ‘Unreal’ were making names for themselves in online deathmatches, ‘Ultima Online’ and ‘Everquest’ were making big names for themselves by bringing open-world roleplaying to a wide audience of paying subscribers. Whilst the PC wasn’t as prevalent as a gaming machine in Japan as it has become in the west, Okawa tasked Sonic Team, riding high off after the release of ‘Sonic Adventure’, with the creation of a console game that could focus on the Dreamcast’s network play capabilities. Dividing into three internal groups to focus on different projects, and with the working title ‘Third World’, art director Satoshi Sakai wanted to create a science fiction environment with light fantasy elements to visually separate their game from other MMORPGs on the market at the time. Creating concept art for the game he drew a dragon and showed it to Yuji Naka (the director of Sonic Team) who immediately connected the series with Phantasy Star from his time working on the Sega Mega Drive (Genesis). This led to the license being drafted and the title being changed to Phantasy Star Online. With no basis for how an MMORPG could fit onto a console (games at the time using many keyboard and mouse-based on screen shortcuts to function) the development team used ‘Diablo’ as a case study for inspiration on game mechanics. 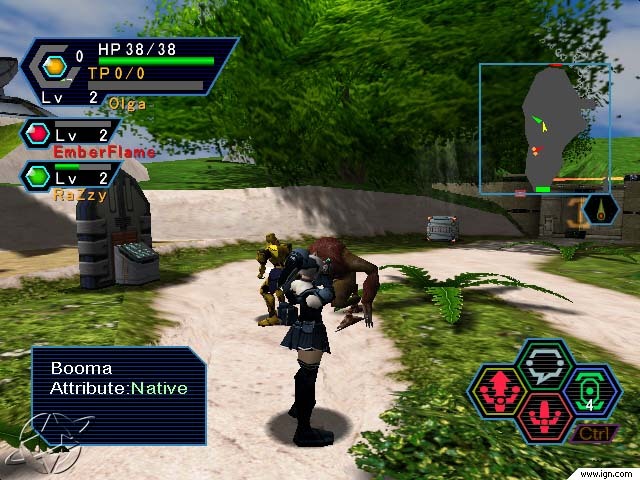 Rendered in full 3D, the game quickly developed a visual style that was all of its own, and the decision to separate this new Phantasy Star from the original series’ strict canon was made to prevent distressing long-time fans. After 2 years of development the game was launched in December 21st 2000 in Japan with a January 31st launch in 2001 in America. The game was packaged with a year’s free internet subscription to entice gamers who were scared of incurring massive dial-up charges, paid for by Okawa himself, and came bundled with a demo of ‘Sonic Adventure 2’. A PC version of the game was later released in Taiwan and South Korea. Forming a party was easy to accomplish and fun to play. Split across three episodes (1,2 and 4 respectively), each released individually and then packaged together in alternating bundles, (Phantasy Star Online, ‘Phantasy Star Online Ver. 2’, ‘Phantasy Star Online Episodes I-II’, ‘Phantasy Start Online Episodes I-II Plus’ and ‘Phantasy Star Online: Blue Burst’ discounting several version updates) the game ran on Dreamcast, Microsoft Windows, Nintendo Gamecube and the Xbox before seein a sequel in ‘Phantasy Star Online 2’ and strange spin-off with a card based battle mechanic named ‘Phantasy Star Online Episode III: C.A.R.D. Revoution’ that accounted for the missing Episode 3. At launch the game received near universal praise and brought the concept of online gaming out of the exclusive domain of desktop computers, spurring rival companies to include internet connectivity in the consoles as standard from that point onward. To this day fan-run servers maintain the original series environment to allow continued online play. Development on Final Fantasy X began in 1999, and signified the greatest financial investment that the newly formed Square Enix had ever made into a single game. Created by a workforce of over 100 people, most of whom were veterans of previous games in the franchise, and with Hironobu Sakaguchi in an Executive producer role. Sakaguchi expressed concerns at the time that the shift from 3D characters over animated artwork backgrounds into full 3D, which encouraged a great amount of effort on the part of the team to ensure that the title lived up to the highly polished visual standards that the PlayStation instalments had built a reputation around. He also expressed lesser concerns over the decision to give the characters voices and transition the series into real-time storytelling, but admitted later that the Final Fantasy franchise has always been at its best when trying new things and avoided stagnating be doing so. Fake laughter aside, the games scenes are well directed. Producer Yoshinori Kitase also served as the games chief director, whilst the direction of maps, battles and events was split between Motomu Toriyama, Takayoshi Nakazato and Toshiro Tsuchida respectively. Developing the games script took an intensive four month period, with writers knowing that any mistakes or slips in character would be harder to alter once the vocal cast had recorded them, and an equal period of time was spent at the studio with professional vocal actors and actresses performing the lines. Toriyama and Kitase, the writers of the games scenario and successors to Sakaguchi’s usual role in deciding the story outline, placed a heavy focus on establishing a connection between the player and the characters, who all formed different but equally important inter-personal relationships as the game progressed. The story itself would focus on the character of Tidus, a distinctly upbeat character in the mould of Zidane from ‘Final Fantasy IX’ rather than a return to the emo ways of Cloud or Squall from previous instalments. A professional sportsman who is washed away after his futuristic city is attacked by a giant monster called Sin and washes up far from home in a land he doesn’t recognise. There the fall in with a Summoner called Yuna and her squad of Guardians on their mission to destroy Sin. Turn based combat for the first time since FF3. At launch the game was available in two editions. One standard and a second containing a DVD that outlined the history of the series as a whole, contained interviews with the voice cast, the music video for the games theme song and a trailer for the then-unannounced ‘Kingdom Hearts’ game. Sales and reviews were good enough to quickly warrant a PlayStation Classics release as well. 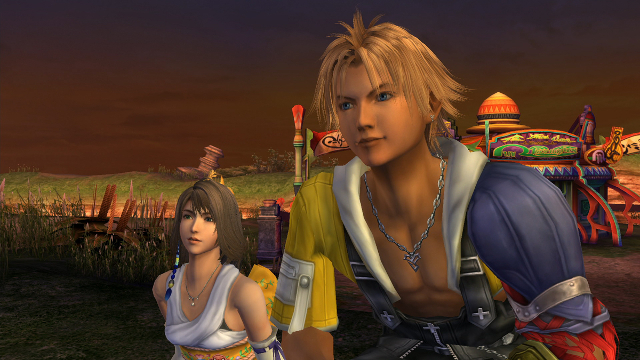 Final Fantasy X also scooped the coveted ‘Best Game’ award at the Japan Game Awards that year. In 2015 the game received a HD remastered edition, released onto both the PlayStation 3 and 4 with Vita compatibility and cross-play for both. Importantly the game also received a direct sequel in ‘Final Fantasy X-2’, a first for the series (though not considered a numbered entry) that reused many of the games costly assets and changed the narrative focus to Yuna in the aftermath of the original games conclusion. Taking heavy influences from the J-Pop scene and returning to a job system similar to that last seen in ‘Final Fantasy 5’, the game received a mixed reception but did feature one of the best examples of ATB system ever made. Though less well received critically, it too received a HD remake and was packaged alongside Final Fantasy X in 2015. At the turn of the Millennium companies that had previously not produced, or only rarely produced RPGs were beginning to see more value in the genre. The mainstream success of games on handhelds such as ‘Pokémon’ and the Final Fantasy series on the PlayStation had caught their attention and suddenly many characters from existing properties that had never crossed into games of this type were being given spin-off titles. Mega Man, a retooled Mario and more all took to the stage in an effort to break into the market. Sony launched the PlayStation 2 to much fanfare, however at launch the console wasn’t the RPG powerhouse that its predecessor had been, prompting Sony to continue support for the PlayStation longer than intended whilst companies released their games that had started longer development cycles and allowing for the console’s backward compatibility to help mitigate the damage. At launch 4 games were classified in the RPG genre, which counts for more than many other systems would have at the time, however ‘Evergrace’, ‘Eternal Ring’, ‘Orphan: Scion of Sorcery’ and ‘Summoner’ were all somewhat awkward first steps. Soon after launch games such as ‘Dark Cloud’ set about showing the increased capabilities of this new system. As the classic PlayStation neared its end, Squaresoft began to experiment with titles released on the console, giving birth to games such as ‘Vagrant Story’. Nintendo hit on a sure-fire success with the launch of the Game Boy Advance, which was essentially a portable Super Nintendo Entertainment System (SNES) and quickly began to capitalise on the wave of handheld RPGs that all wanted to cash in on the success of the Pokémon series. Able to play games in colour and present better sound than anything that had come before, titles such as ‘Golden Sun’ quickly made it stand out on the market. Whilst JRPGs were quickly becoming a commonplace event, WRPGs have also begun to sneak their way onto consoles, with ‘Deus Ex’ receiving a PlayStation 2 port. Indie developers were also starting to once again take a hold, with Jeff Vogal sharing a similar design mentality to industry legend Richard Garriott , and possessing the determination to not just produce, but continue to believe in and reproduce great independent titles. 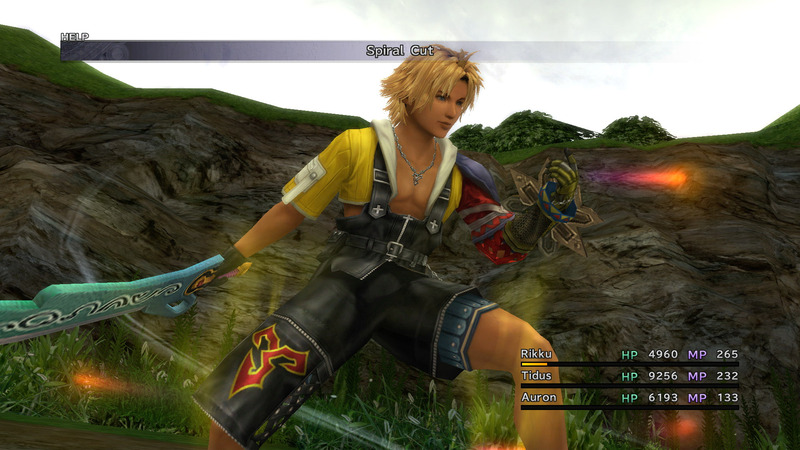 ‘Final Fantasy X’ made possibly the largest impact however, with the inclusion of fully spoken dialogue for the characters in their latest game (not a new experience for Desktop gamers, but a rarity in JRPGs in general, especially in such quantity) Square had set a new standard that all console RPGs had to match. They also pushed a graphical level from the PlayStation 2 that made many rivals games appear little more than upgrades on original PlayStation models, forcing others to raise the bar or be left behind entirely.